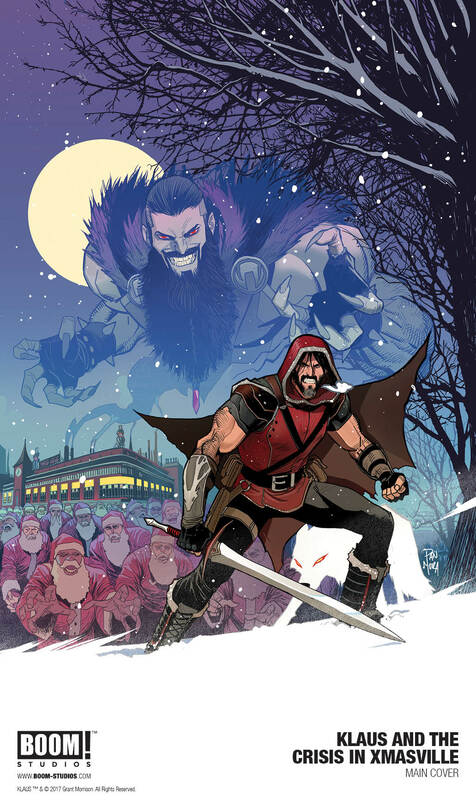 There’s a lot to unwrap in writer Grant Morrison’s Klaus, a brazen superhero take on Saint Nick illustrated with bounding energy by Dan Mora. 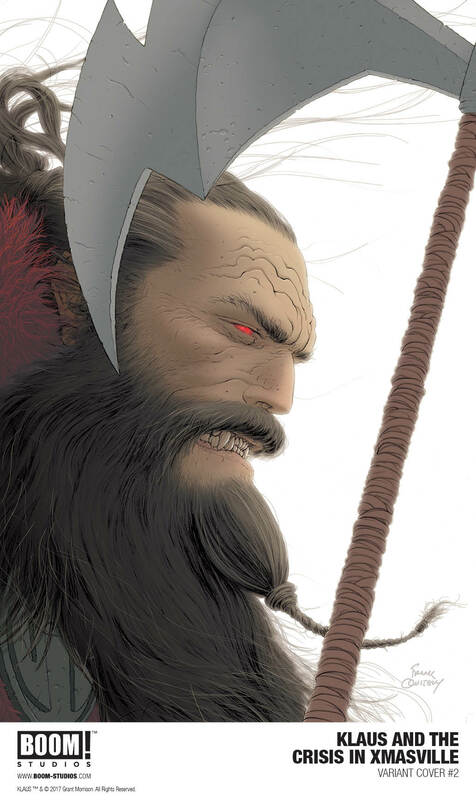 Starting in 2015, Morrison transformed the jolly old elf into an immortal barbarian shaman who liberates a small medieval burg from the throes of his demonic counterpart, Krampus. Last year, the creative duo revisited the character in Klaus and the Witch of Winter, ushering the concept to present day with zany Silver Age energy, laying hints at a sprawling mythology that includes civil wars on the moon and toy-shop-razing battles. That annual tradition continues with Klaus and the Crisis in Xmasville, and it is absolutely wonderful. Like the offspring of The Polar Express, Santa Conquers the Martians and Jack Frost (the 1964 Soviet film), the comic packs a treasury of plot beats and influences into its ‘80s-set tale of the holiday avatar taking down a cola corporation that brainwashes mall Santas and kidnaps kids. Morrison—who’s penned defining runs on comic institutions ranging from Superman to the X-Men—welds an intimidatingly thorough knowledge of all things Santa, no matter the era or country. That loving holiday anthropology shines through every panel, rendered in chiseled majesty by Mora, who also took over coloring to fill his forms with soft, evocative watercolors. 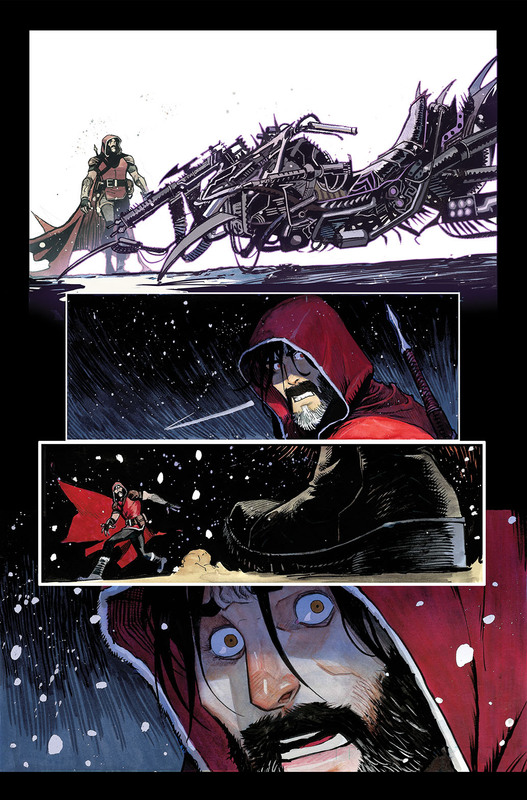 Paste exchanged emails with Morrison to find out more about this one shot, which launches on December 6th courtesy publisher BOOM! Studios. 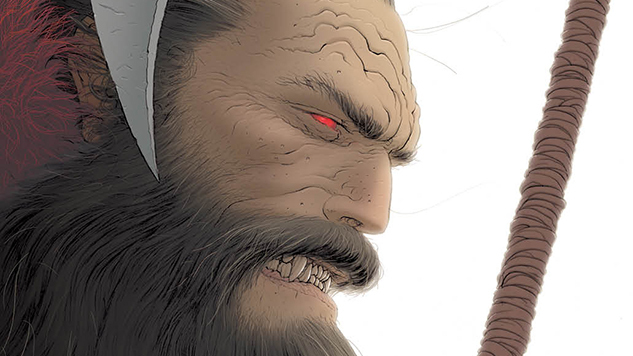 We also have first looks at variant covers from Frank Quitely and John Cassaday. Paste: Starting back in 2015, what gave you the inspiration to transform Santa Claus into a psychedelic superhero? 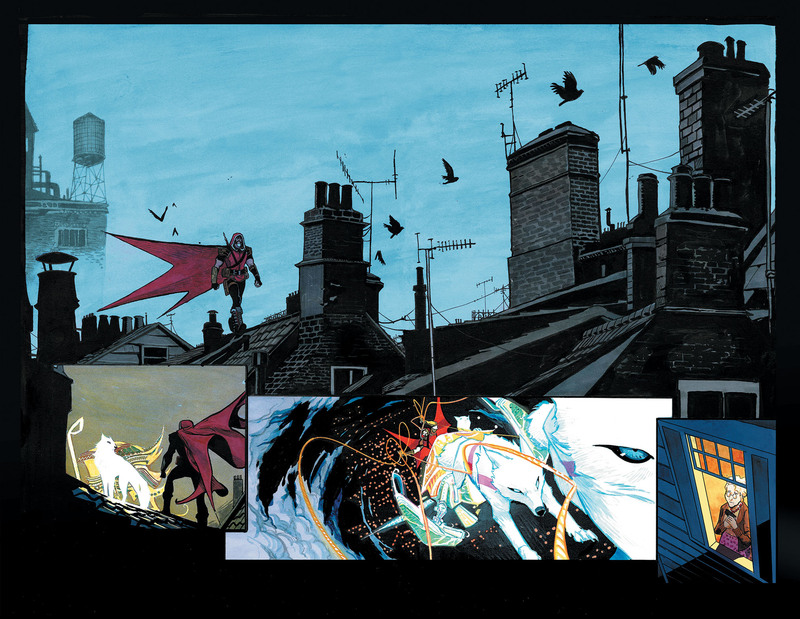 Grant Morrison: I was wrapping up my work on the DC superhero books and spending more time doing new creator-owned stuff, but I still wanted a place where I could exercise the part of my brain that loves to make up madcap, freewheeling super fiction. My work for Graphic India on the Avatarex book scratches that itch to a certain extent but with Klaus, I realized here was a character as recognizable as Superman, Spider-Man or Mickey Mouse, who could, with a little twist, become a classic superhero in a kind of epic cross between Superman, Batman and Dr. Who. Paste: Klaus nicely merges the mythic with the topical. Witch of Winter dealt with global warming, and Crisis in Xmasville addresses a corporate soda company attempting to usurp the holiday in the ‘80s. The United States government is currently embracing what could be described as a free-market ‘80s renaissance and the term “Merry Christmas” has certainly been politicized. Did that play a hand in shaping Crisis, or did its themes come from somewhere else? Morrison: The themes emerged organically. Certainly, my observation of the current nostalgia for the ‘80s in culture, politics and international relations played a big part in Xmasville—having lived through the ’80s, I can assure my readers it wasn’t worth being nostalgic about in any way—but in all honesty, I’m not trying to score big satire points here. I was looking for enemies who seemed to be in some way conceptual opposites to our hero. It’s easy to see how a rapacious, greedy corporation might stand in opposition to a kind and generous nature lover. Paste: Per your description of the titular Xmasville…I have to ask if you’ve been to Celebration, Florida. Morrison: I just checked it out. Ha ha. Looks like the perfect setting for a zombie outbreak. Our Xmasville is the malignant, late-stage strain of that particular civic disease. Paste: In all three volumes, industrialization seems to be the recurring enemy (coal mining/doll making/soda companies). Agree or disagree? If the former, what makes Klaus and industrialization natural enemies? Morrison: I think his origin as a solitary wild shaman gives Klaus an affinity with nature and the wilderness that adds to the character’s pagan, protector of the Earth side. As above, it seems natural that he might find himself in conflict with corporate interests that favor the synthetic and mediated over the natural and untamed. Klaus is all about freedom and generosity so he has a problem with restriction, control and authority. Paste: It’s becoming apparent that you’ve woven quite a tapestry here. You mentioned the first battle with the Pola Cola Corp at the abandoned first workshop in last year’s special, and that’s expanded upon here—not to mention the Lunar Civil War making a cameo in both volumes. What’s your scope for Klaus? Should we get our hopes up for this to become an annual tradition? Morrison: That’s the plan, depending on everyone’s demanding schedules. I’d love to do a special every year until it becomes a tradition. I already have ideas for the next couple of stories. Paste: Without venturing into spoiler territory, the international breadth of the Klaus concept and his regional incarnations seen here and in Witch of Winter are lovely. What went into researching the Santa variants and what were your favorite discoveries? Morrison: As a fan of superhero comics, I’ve grown up with the idea of variant characters, like the Earth-2 Batman, or the Earth-11 Superwoman, or the Earth-3 Johnny Quick, the evil version of the Flash, etc. So, I wanted to get that aspect into the Klaus universe. Luckily for me there are several international alternatives to the familiar Santa Claus figure and I was able to create a kind of Christmas-themed Justice League! My favorite discovery would have to be the Russian Santa, Ded Moroz, or Grandfather Frost. With his blue-and-white outfit, his splendid staff and his amazing partner in the form of Snegurochka (a.k.a. The Snow Maiden), he makes a great ally. He makes an appearance in the new one and Snow Maiden joins Klaus as his partner during the latter half of the book. I also want to get Father Christmas in at some point—the version dressed in green who appears as the Ghost of Christmas Present in Dickens’ A Christmas Carol—and I have a good story to tell with Mos Gerila, the shirtless young Romanian Communist Santa, who looks like the Golden Age Superman. Paste: On that note, would you ever consider doing a Klaus team book or miniseries featuring another Klaus iteration? 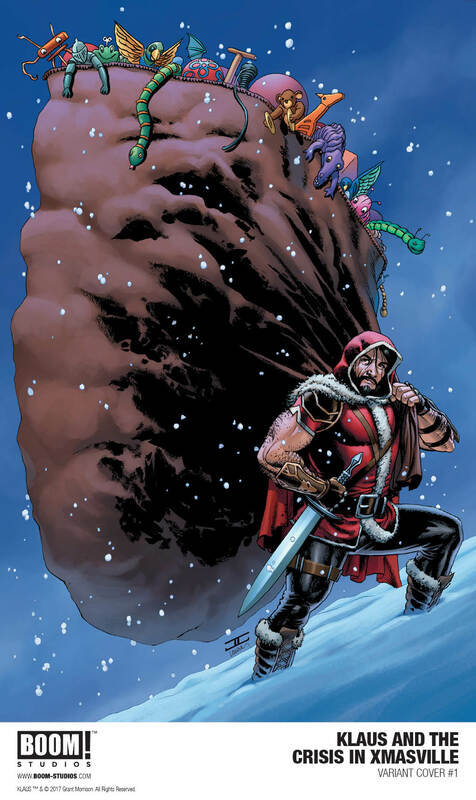 Morrison: The potential is certainly there, so I wouldn’t rule it out but at least for the foreseeable future I want to keep building up Klaus as a character. Paste: Let’s talk about illustrator Dan Mora; what attracted you to him for this project? I appreciate the way he balances emotion and grandiose heroism. There’s also a sense of gravity and movement to his characters. Morrison: Dan’s one of my favorite collaborators. He just gets me and my writing in the way that artists like Frank Quitely, Chris Burnham, Yannick Paquette, Cameron Stewart and a few others do. Which means I can always trust him to make the book better than I imagined. I’m always blown away and inspired when new pages come in from Dan. 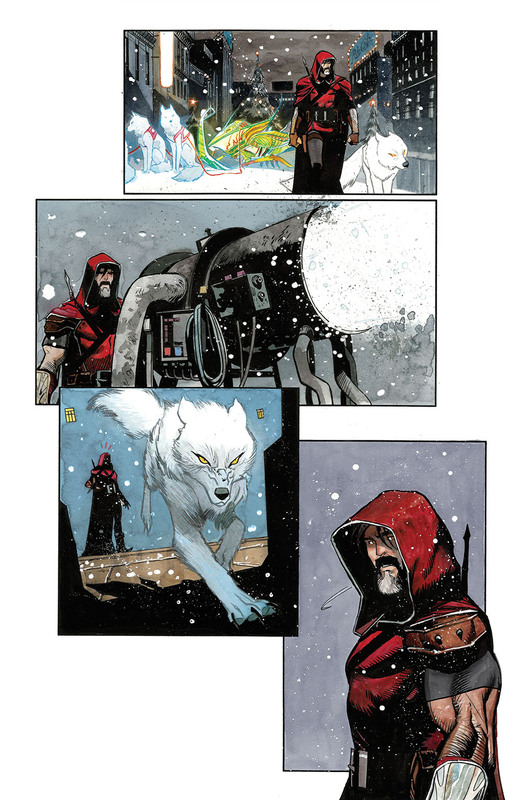 He changes his style quite subtly for each of the books and this one has a lot of amazing watercolor painting. Paste: How do you traditionally celebrate Christmas? Have you already started planning for this year’s?